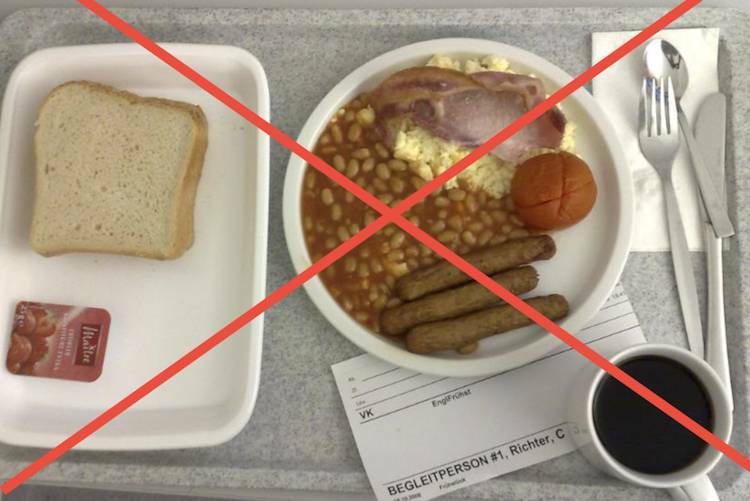 AMA Comes Out Against Serving Processed Meats in Hospitals! Breaking News: The American Medical Association (AMA) just passed a resolution that calls on hospitals to serve plant-based meals and to eliminate bacon, sausage, hot dogs, ham, and all other processed meats! That is now official AMA policy! This is a huge victory for Physicians Committee for Responsible Medicine which has been pushing for this much needed change! RESOLVED, That our American Medical Association hereby call on US hospitals to improve the health of patients, staff, and visitors by (1) providing a variety of healthful food, including plant-based meals and meals that are low in fat, sodium, and added sugars, (2) eliminating processed meats from menus, and (3) providing and promoting healthful beverages. RESOLVED, That our American Medical Association requests that the federal government support Supplemental Nutrition Assistance Program (SNAP) initiatives to (1) incentivize healthful foods and disincentivize or eliminate unhealthful foods and (2) harmonize SNAP food offerings with those of Special Supplemental Nutrition Program for Women, Infants, and Children (WIC).